Home of “The Salute,” the bronze statue of goaltending legend Martin Brodeur. The 900-pound bronze statue was created by renowned sculpture and artist Jon Krawczyk, who worked with Brodeur on the design. 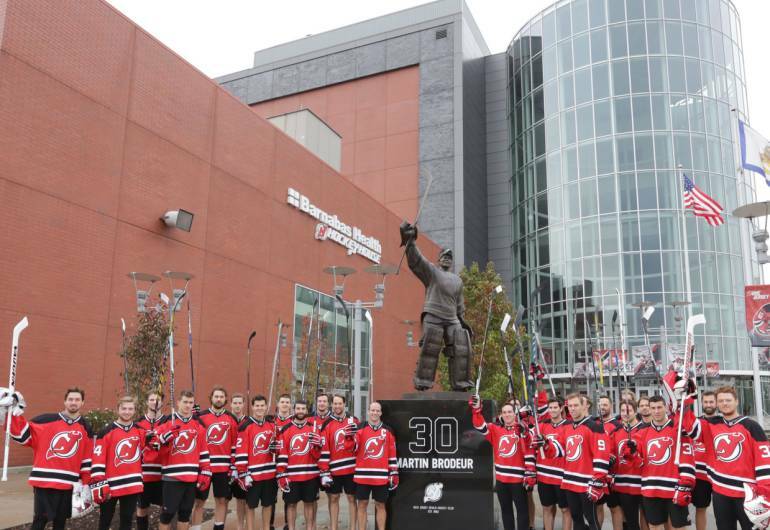 Krawczyk, a Boonton Township, N.J. native and lifelong Devils fan, also created the steel hockey statue on Championship Plaza outside of Prudential Center.